Zest Health is now at home in Aylesbury! 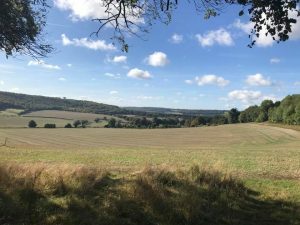 My family and I moved from the big city to the beautiful village of Weston Turville in the summer of 2018, and now that we are all settled, I am setting up a new Osteopathic clinic which will provide Osteopathic and remedial massage services to Weston Turville, Bedgrove, Aston Clinton, Wendover and the surrounding areas of Aylesbury Vale. I qualified as a massage therapist in 2001 and then as an Osteopath in 2007. I have owned and run my own clinic in London since 2007, treating a wide array of patients, from small babies through to the older generations. I believe that everyone should be able to live life to the fullest and that Osteopathy can allow this potential to be fulfilled. As an introductory offer, I’d like to offer all new patients a 25% discount off their first treatment during January and February 2019. Please quote code INTRO25 when booking. I look forward to meeting you all in the future and I hope that we can build a strong relationship together to improve your health and well-being.